Operatives of the Department of State Security (DSS) have secretly conducted security check on some Governorship aspirants of All Progressive Congress (APC) in Delta state, BigPen Online can authoritatively report. Dependable sources told BigPen Online that security agents have conducted background check on the former Labour Party chieftain, Chief Great Ogboru, Netherlands based environmental activist, Comrade Sunny Ofehe, former Delta State House of Assembly Speaker, Rt. Hon Victor Ochei, former PDP national deputy chairman defunct Sherrif Modu Ali’s faction, Dr Cairo Ojougboh as well as renowned economist, Prof. Patrick Utomi. Our source revealed that the background check on the Governorship hopefuls was authorized by President Muhammadu Buhari who have been briefed on the dossier of some of the aspirants who have indicated interest to unseat the incumbent PDP Governor, Dr Ifeanyi Okowa of Delta state. The source disclosed that Buhari has authorised the check because APC hopes to capture more states in the South South geopolitical zone including Delta state come 2019 but wants a candidate who has no political connection to the former ruling party, PDP and erstwhile Delta state Governor, Chief James Ibori. Credible sources who confided on one of our correspondents disclosed that security agents have check if they (aspirants) have any alleged criminal and corruption histories as President Buhari wants to ensure APC candidates are reliable, trustworthy, of good character and free from any corruption cases with the anti-graft agency, Economic and Financial Crimes Commission, (EFCC). Some of the party’s hopefuls, according to the source may not ‘smell’ the party Governorship primaries because security dossier on them indicates that they are involved in one alleged corruption case or the other. It was learnt that anyone the APC would field as Governorship candidate must undergo security clearance which would be obtained to determine the candidate’s integrity and acceptability. Dependable sources revealed that the development was the reason why some of the APC aspirants have not fully come out to declare their intention to run because they have not be able to secure clearance from the Presidency. A top party chieftain who did not want his name mentioned revealed that APC National Secretariat and the Presidency have zero regard for some crops of politicians from the state who have been scheming to get the ticket of the party through a concrete arrangement at the national level. The source said that the APC federal government was doing everything to ensure that anyone connected to alleged Treasury looting is stopped across board. The source hinted that even PDP aspirants that have EFCC case and are under investigation would be prevented from contesting by the security report that would be made available to INEC. “Specifically, the presidency has interest in Delta state and I can tell you that they are chopping for a credible person. Many of those whose names are flying today may not contest because operatives are currently building dossier on politicians across the country”. “This is not unusual but would change the dynamics of politics in many States. Just take this to the bank and come back when it is near election time”, our source added. 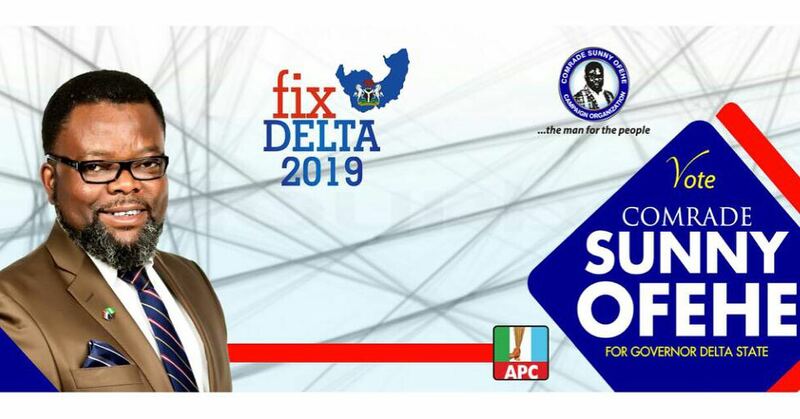 BigPen Online can however report that many of the aspirants have not openly declared their interest to contest in the 2019 Governorship race in Delta but have been consulting stakeholders including reaching out to the APC National Secretariat for possible endorsement. Investigations however revealed that security agents have discreetly conducted a secret investigation on Ogboru who was said to top the chant of those being line up as possible Governorship candidate of the party but had find a dent on him. The source disclosed that besides peeping into Ogboru’s business history, including conducting a confidential check on his bank details, source of funding of his previous elections, detectives have also check his connection to the opposition party, Peoples Democratic Party (PDP), particularly during the former President, Dr Goodluck Jonathan’s tenure. The security source also revealed that the same investigative procedure was launched on former Delta Assembly Speaker, Rt Hon Victor Ochei, who is alleged to be having an EFCC’s case dangling around his neck. Ochei, among the aspirants is reported to be the only one believed to have the war chest and mobilization to send Okowa packing. Ochei, our source said was one of those earlier penciled down as having the political structure to dislodge the PDP led administration in Delta state. Our source however hinted that Pat Utomi’s albatross is that politically he is linked to the Jonathan’s government and might not be able to get security clearance based on the patronage he received from the federal government that may likely rob on his chances. Utomi is seen as someone who have been purportedly “collecting” from every government in power, and lacking the political structure to run out an incumbent in power, the source added. BigPen Online gathered that APC Governorship ticket, despite the unfavourable dossier on Utomi, is dangling between the renowned professor and the relatively unknown in the political space in Delta Netherlands based environmental activist turned politician, Comrade Sunny Ofehe whose records is said to appears clean but believed to lack the political clout to wrestle power from the PDP-led Government in Delta state. 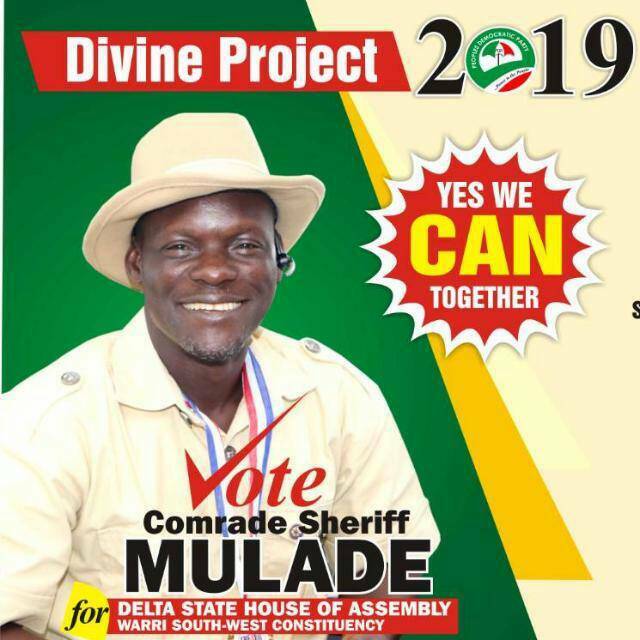 Sources said that Ofehe, a neophyte in Delta state politics may end up being the favorite of the presidency going by his proven track record but there is fear about his state wide acceptability. According to the source, the former PDP national deputy chairman in the defunct Dr. Sherrif Ali Modu faction, Dr Cairo Ojougboh who is also eyeing the seat currently occupied by Okowa is not on the card but would be used to play a major role for the party’s Governorship and Presidential election. When contracted, Ojuogboh said he was not aware of any security check on him, maintaining that he has no skeleton on his board that would hinder his ambition. Responding to a text sent to his mobile line, Ojougboh said “I welcome the security check”. BigPen Online efforts to reach Ogboru, and Utomi for comment proved abortive. Utomi fails to respond to a text sent to his mobile phone on the subject matter as at press time. Ofehe however said that it is a routine check in any civilized democracy, saying that there is nothing new about it. “In any civilized democracy, there must be serious security check on candidates vying for public office. In this case there is nothing exceptional. “If you must serve your people, your records must be very clean because they need to look up to you with high level of trust and reliability. The saying that “he who goes to equity must come with a clean hand” should be our watchword. “My records are straight without blemish. I welcome the development, Ofehe said in response to a text message. In same vein, former Delta Speaker, Ochei said that security check is a confidential thing that security agency does on aspirants, saying he wouldn’t know if they check his background or not. He said however that he wouldn’t lose sleep over it as his track records are already in the public domain for verification. NextHow Much Do You Know Maleek Berry?